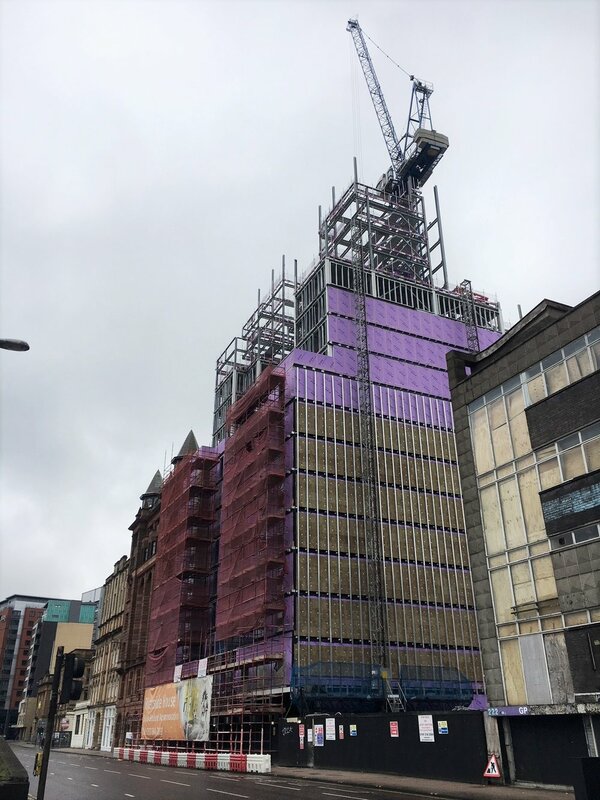 A project for SILK Developments sees Glasgow's newest student accommodation being opened on Clyde Street on the banks of the river. The refurbishment works to Riverside House forms part of a wider £25m scheme, incorporating additional living and amenity spaces with a 300 bed luxury hotel - all due for completion early 2019. Wm Brown assisted the architect and developer in reworking the original floor plans -creating space for a natural smoke shaft and replacing a mechanical extract system that formed part of the initial design. This cost saving alternative provided the required smoke ventilation to protected lobbies without having to compromise the layout within the studio flats themselves. An OSLOOP addressable control system provides floor by floor operation of colour matched louvred dampers, along with roof vents at the head of the smoke shaft and protected stairwell.